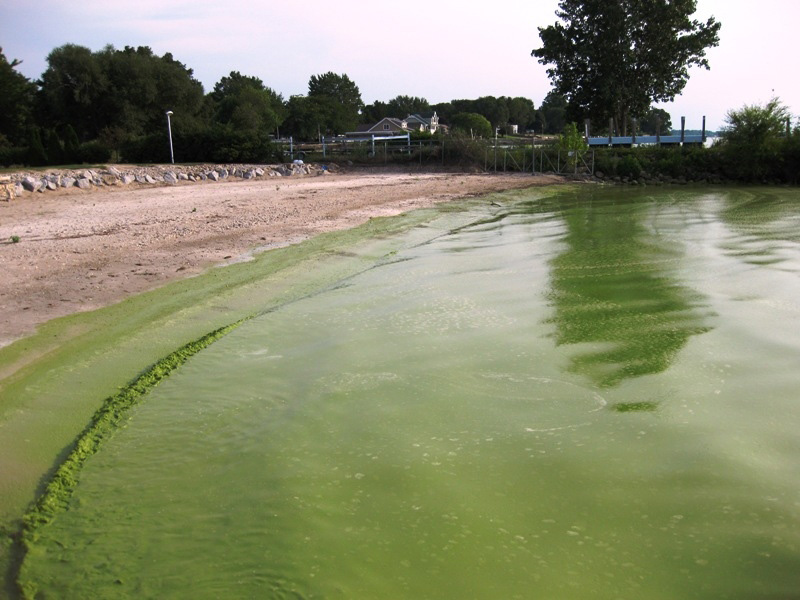 Blue green algae bloom on the shore of Catawaba Island, Ohio in Lake Erie. Summer 2009. Originally uploaded in Project EDDIE:EDDIE Macrosystems. NASA, Summer 2009. Photo accessed via commons.wikimedia.org.